EndleSS hoBBies!! : ohh, i love travelling!!! 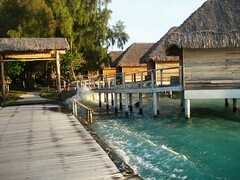 We had an ocean swell raise the level of the lagoon yesterday so a few big waves and lots of currant.